I received this Fit Box as a promotional item. This is not a sponsored review. All opinions are 100% my own. The weather is warming up, and the grass is green and flowers are slowing popping up here and there! I am so in love with Spring, and I can’t wait to get outside more and soak up some Vitamin D! 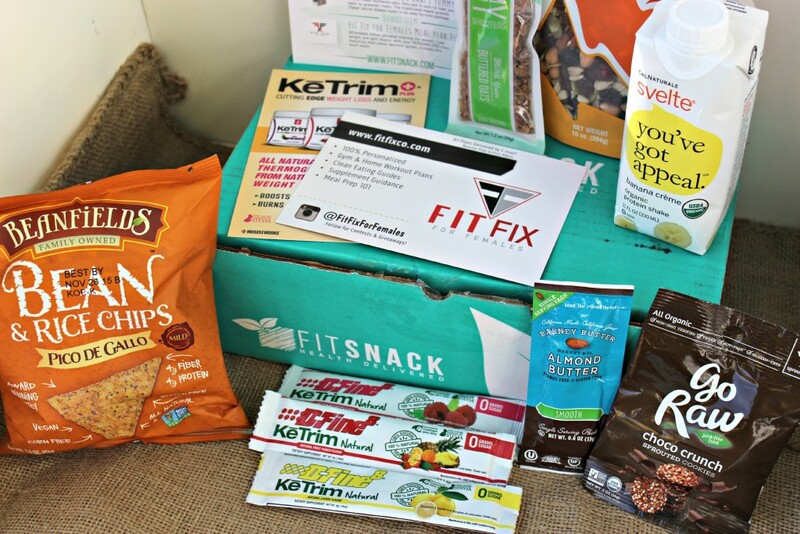 With that said, I wanted to share this months Fit Snack Box with you that I received! I get a box each month and it is packed full of healthy snacks for me and Adam to enjoy! This month was packed full of wonderful healthy snack options! Adam loved the Beanfields Bean and Rice Chips, and I loved the Fiona’s Natural Foods Mountain Trail mix! 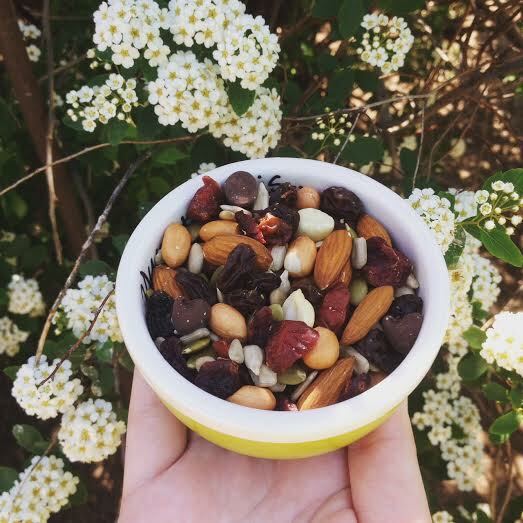 It is packed full of raw nuts and dried fruit, and chocolate chips! The baby and I love to snack on it for a mid afternoon snack! Each box comes with a nice itemized list of all the items that you received, along with a few extras. I had a nice variety of items, from chips, protein drink, almond butter, trail mix and more. I love love love the variety of products. It is a great way to try new brands and products, and you never know if you will fall in love with the brand and have a new favorite snack to add to the list! Head over to Fit Snack and check it out. 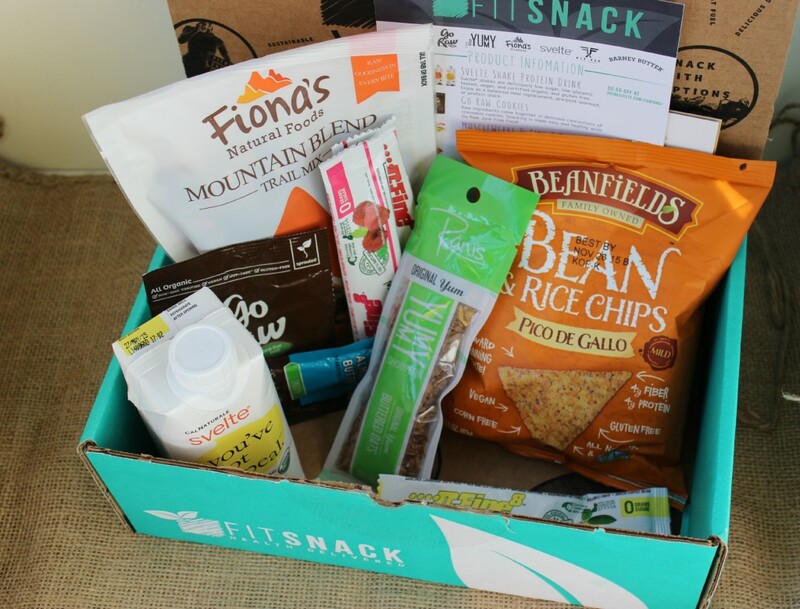 You can sign up today, to start getting your own Fit Snack box delivered right to your door! 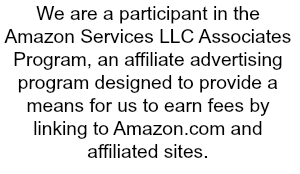 This is a great gift or treat for yourself! If you care about what you snack on, and want to have healthy options, this is a great box to get. What is your favorite part about Spring? !